March 15, 1922 – Aug. 31, 2012. 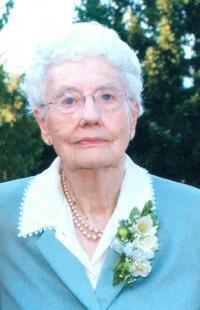 Dorothy passed away peacefully at the Cowichan District Hospital. She was predeceased by her husband Frank and is lovingly remembered by her daughter Jean (Fred), son David (Eve), granddaughters Lauren (Matt), Catherine, and Kristen and great-granddaughter Charlotte. The family wishes to extend thanks to Dr. Susan Barr, Dr. Anna Wang, Dovehill House, and staff of the Cowichan District Hospital for their support. A celebration of Dorothy’s life will be held on Saturday Sept 8, 2012, at 10:00 am at the First Memorial Chapel, 375 Brae Road, Duncan, B.C., Pastor Norm Sowden officiating. In lieu of flowers, donations can be made to the charity of your choice.